Where’s the Corn in Medical Supplies and Equipment? This research was originally done by the creator of the blog called Hidden Corn. This blog is no longer maintained as the author was no longer keeping up on the newest developments. I wanted it to remain available for people, so I took the data over and am soliciting help from a trusted friend to keep it up to date. We are making changes and additions as we note missing or outdated information. Please comment or email me at cornallergygirl@gmail.com if you see anything that is incorrect, or any broken links. Do your legwork, people! Do it BEFORE you need medical care. And do your darndest to ensure you have someone who will advocate for you in those medical situations in which you are unable to advocate for yourself — this should be someone who is not timid about questioning medical care providers and who knows (for example) you need a saline IV rather than a glucose or dextrose IV and so forth. ADHESIVES: Many corn allergics react to adhesives. I’m missing a source on why this is, but it’s been reported many times. If you need to avoid adhesives don’t claim it’s due to corn allergy, simply say that you have an adverse reaction to many adhesives. ANTIBIOTICS: Corn is almost always the growth medium. There isn’t any avoiding this. If you need antibiotics, you’ll have to simply medicate to avoid a severe reaction. Typical pre-medication would be an H1 antihistamine such as benadryl, an H2 antihistamine such as zantac or pepcid, and perhaps a prophylactic steroid. (Make sure you have corn free versions of all these!) When taking any medication, you need to determine what the inactive ingredients are and from what they’re derived to choose something that is as corn-free as possible. If you have time, it may be best to have your medications compounded to be as corn free as possible. Another option may be to use the intravenous version and that has a corn free ingredients list. Cross reference with the corn derivatives list Keep in mind that even if the ingredients “look safe” you may still react to consider asking to trial a small amount of the medication before doing a full dose. BLOOD BAGS/BLOOD TRANSFUSIONS: Contain corn-based anticoagulants, specifically dextrose and citric acid. (2) If you need a blood transfusion, you need to medicate with a steroid, an h1 antihistamine such as benadryl, and an h2 anithistamine such as zantac or pepcid. More info on premedication in my Hospital Safety post. BLOOD PRESSURE CUFFS: Some folks report skin reactions due to the sanitizers used on these between patients. Bring the sleeve of an old t-shirt to put between you and the cuff if you have the presence of mind or have them take your BP over your shirt if you have sleeves on. CT SCAN CONTRAST: The contrast solution, if flavored, will probably contain corn derivatives. Look for a contrast with the least amount of ingredients possible (will probably be unflavored), to be mixed in plain water. Ingredients should also be checked for IV contrasts. Note: reactions to CT contrast are common even in people without allergies, so radiologists may be more likely to understand concerns about reactions and have a protocol should you react. DENTAL VISITS: Pretty much all of the products used at a dental visit can be corny, from the medications and products themselves to the paper and gloves used for sanitation. Dental health is very important though, and many many corn allergics have managed safe dental care. More on corn free dental care: Corn Allergy Safety at the Dentist. FLUIDOTHERAPY / HAND THERAPY: The cellulose used in Fluidotherapy machines used by some hand therapists is made from ground corn cobs. HAND SANITIZER: Almost all hand sanitizer contains ethanol from corn, and even not very sensitive people will have airborne reactions to corn-derived ethanol. Hand sanitizers also frequently contain scents which can be a concern for corn or chemical sensitivity. They will also contain inactive ingredients that are often from corn such as glycerin that may cause a contact reaction if someone touches you after using it. If staff insists on using hand sanitizer near you ask them to wear (powder free) gloves afterwards. HAND SOAP: Almost all liquid hand soaps contain glycerin which may be from corn as well as citric acid and other ingredients commonly derived from corn. If you are skin-reactive, you may have a contact reaction to someone touching you who has used these soaps, or if you are highly airborne reactive you may have issues breathing near someone who has used them. Here is one example ingredients list from an antimicrobial soap used in surgical settings. GLOVES: Powdered surgical and exam gloves are often powdered with corn starch. Effective Jan 19, 2017 the US FDA has banned the sale and use of powdered surgical and exam gloves, so that’s good news for us corn allergy sufferers. It make take some time for full compliance, and non-medical settings may still make use of them. INTRAVENOUS SOLUTIONS: Lactated Ringers’ solution contains sodium lactate, which is made from lactic acid. Lactic acid isn’t *always* fermented on corn sugar but several of the major distributors of the product do use corn sugar. Given the volume of production of sodium lactate for medical purposes I doubt there’d be a way to know for sure which supplier the lactic acid came from. Additionally dextrose/glucose is often added to intravenous solutions and injectables. Ask for a saline IV fluid. If you are inpatient, consider making signs to hang on the IV stand stating no lactated ringers and no dextrose as nurses will not always check your charts at shift change or will mix you up with other patients. Realize that the nurses may still not read the IV stand and remind them. Train an advocate such as a family member or close friend before you need one to help remind them! NON-MEDICINAL INGREDIENTS aka Preservatives and Excipients: Go HERE to read an excellent article about corn derivatives used in non-medicinal ingredients. The article was in the College of Pharmacists of British Columbia’s May/June 2007 newsletter; it may be an older newsletter, but the information is still extremely applicable! MEDICATIONS: Inactive ingredients of pills, injections, and topical products may contain corn. Get package inserts and compare the active and inactive ingredients with the corn derivative list. Finding the Inactive Ingredients of Medications. In many cases you may need to have a medication custom made to be corn free. This is called “compounding.” Getting Medications Compounded. Finding a Compounding Pharmacy. PREFILLED SALINE FLUSHES for IV lines and catheters contain a preservative. Staff needs to get a vial of plain saline and draw it into a syringe and use that to flush your line. SANITIZERS: I don’t have a source on why anti-microbial floor and surface cleaners in hospitals seem to be a concern for people who are airborne reactive to corn, but reports from the corn allergy community, and my personal experience show that they are. Some contain ethanol from corn, some don’t. It may be that corn allergics are often also chemically sensitive. 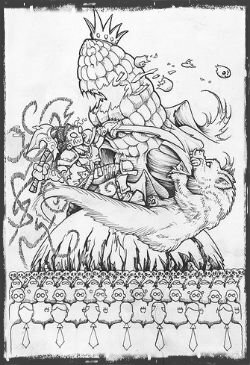 All I know is that even when I can’t smell any cleaners in hospitals, I react the entire time I’m inside on just from breathing the air, and many other airborne-reactive corn allergics experience the same. I wear a carbon filter mask, and if in-patient, ask for them to only mop the floor in my room with water. I also bring in a HEPA filter for my room and run that and put a sign on the door to keep the door closed at all times, even if just coming in for a second. SUTURES: Absorbable sutures may be made from PLA or polylactic acid, which is frequently made from corn. I am told some non-dissolvable sutures may be dusted with corn starch, although I have no source to prove this. I have also heard reports of those with corn allergies reacting to sutures that should be corn-free, so exercise caution. SYNTHETIC INGREDIENTS: If you are attempting to determine the source of an ingredient and are told it’s “synthetic,” don’t let that be the end of the line in your questioning or you will be taking a risk that your medication might contain a corny ingredient. See if you can find out which raw ingredients are used in the chemical process that creates the synthetic ingredient. TUBING FOR OXYGEN MASKS: You may react, I don’t know if this is corn starch dusting or what. Ask to have them wiped or rinsed with water. There are a few different ways to find inactive ingredients of a medication. My absolute favorite by far only works for pills, but I always check it first. It’s a brand new search engine from the NIH called Pillbox. In fact, it’s so new it’s still in beta stages. 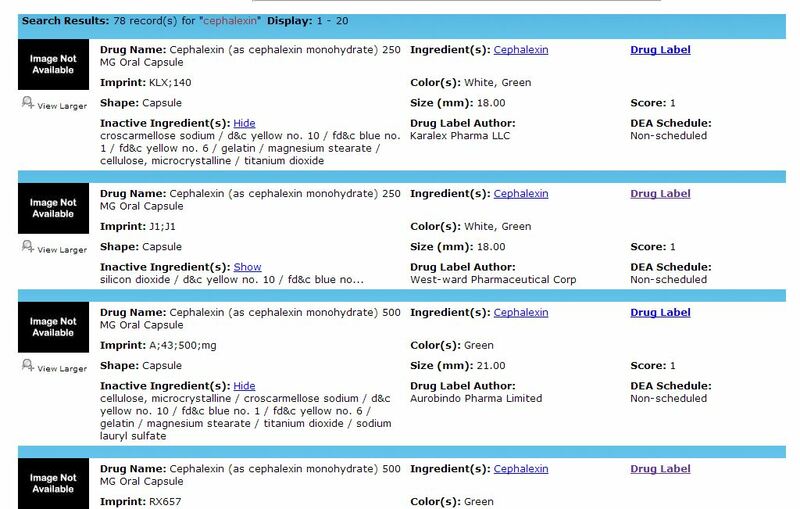 This search engine is intended for identifying “mystery” pills, but I’ve been using it to get a quick list of every manufacturer of a particular drug and the inactive ingredients. 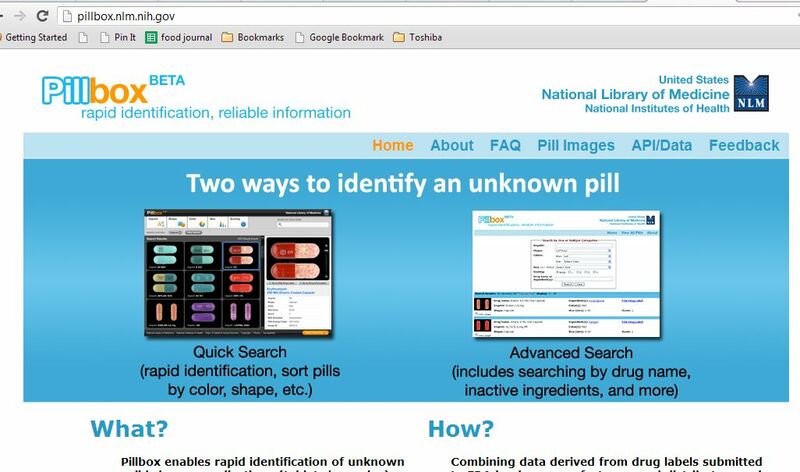 Go to http://pillbox.nlm.nih.gov/ and click on Advanced Search (picture on the right). In “Drug Name,” enter the name of the drug you’re looking for. In this case, I’ve entered cephalexin, the generic name of Keflex. This will give me both the brand-name drug and all generic variants. Click Search. 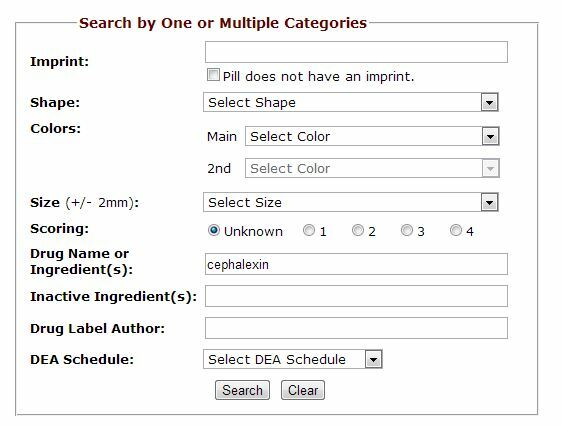 The search results will give you a listing of all known manufacturers and dosages of the drug, with the inactive ingredients listed right on the page. You can click hide/show next to “Inactive Ingredients” to see the full listing. If I can’t find what I’m looking for on this search engine, or need more details, my next go-to search engine is NIH’s DailyMed database, which is an archive of package inserts for all kinds of medication and medical supplies. For each med listed on DailyMed, there should be an “ingredients and appearance” section on the bottom. The inactive ingredients should be listed in this section.